A new opportunity for Christians in West Norfolk, Fenland and Holland to come together for faithful and relevant bible teaching, worship and encouragement in our Christian lives. Registration begins 7.00pm Friday 11th September. The programme continues throughout Saturday 12th from 10.00am. 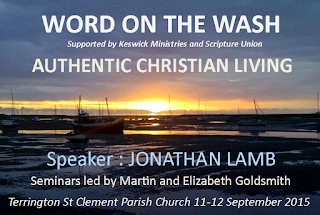 Jonathan Lamb, CEO of Keswick Ministries, will lead four main sessions from 2 Corinthians 4 and 5 on ‘Authentic Christian Living’. Afternoon seminars with Martin and Elizabeth Goldsmith will focus on cross-cultural and family issues in today’s world. The children’s programme on Saturday will be led by Kevin Baldwin of Crowns’ Trust. Kevin and his team will teach and care for children from 4-15yrs throughout all daytime sessions. This conference is free of charge to all – but donations are welcome either at the event or made previously by direct transfer online. 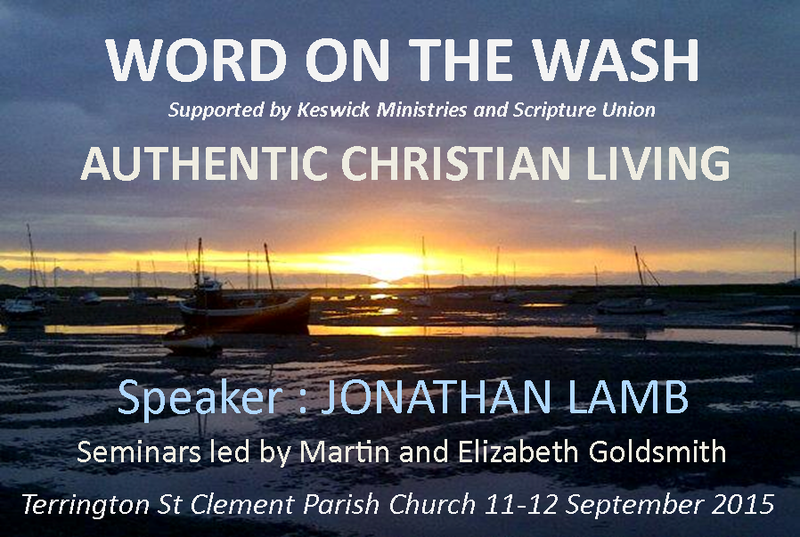 For more information please visit the Word On The Wash website.